You need a diaper pail deodorizer. Your house smells like a stinky diaper and you need a solution to that diaper pail smell, right? If you are anything like ALL PARENTS of babies, you’re looking for a diaper pail air freshener or a diaper odor eliminator that would make the stinky diaper smell go away. (I cannot tell you how many times I’ve heard people complain about how their diaper genie smells). You might also be thinking that the smell has gotten worse as baby has gotten older and you are right about that – as babies start eating solid foods, their poops definitely start smelling worse. But, there are several solutions to your diaper pail smell. 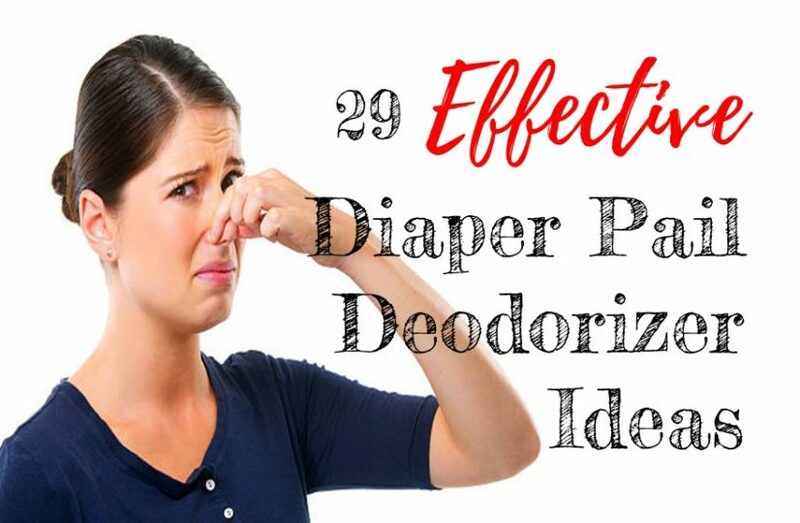 In this post, I’m offering you 29 solutions to your diaper pail smell. I have tried all of these at one time or the other, as I have learned about it. They are all effective – some more than others. However, I’m a mother of 5 so I don’t always have time to do the more time intensive methods. 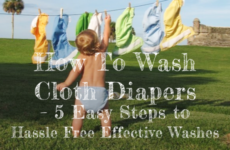 Having said that – take a look and see what methods you could try to get rid of that stinky diaper smell now. The following methods are simple diaper odor eliminators. They are great methods that actually work, and they work quickly too. Pick one or more methods that seem doable for you and try it out. Keep white vinegar mixed with water, in a spray bottle. Keep it close to your diaper pail, and spray it into the bottom of the pail every time you empty the bag. Distilled white vinegar is a safe and natural diaper pail deodorizer. Sprinkle a little baking soda into your diaper pail every time you change the bag. So, take out the full bag, sprinkle the baking soda at the bottom of the diaper pail, and put in a clean bag. Throw old coffee grounds into a clean coffee filter, tie it up and place it in the bottom of your diaper pail – under the plastic bag. Throw a few whole cloves into the bottom of your pail. 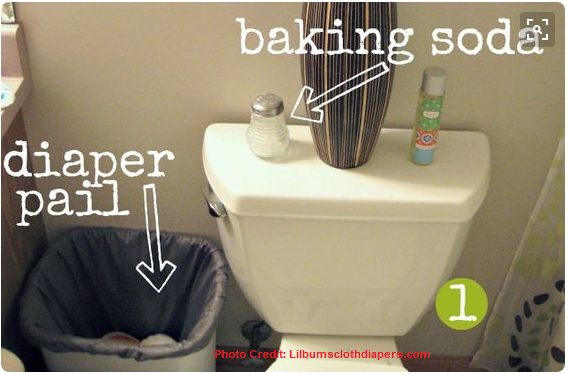 This is a really simple diaper pail deodorizer that takes second to do. 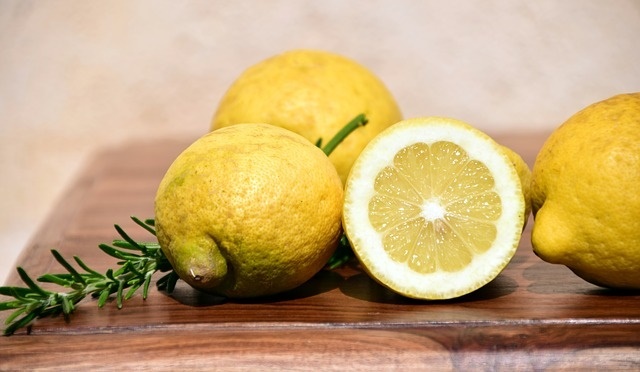 Cut a lemon in half and put it in a small bowl of water – cut side up. Place the bowl in your nursery. (You could also freshen up your house by cutting up some lemons and having it simmer on the stove for an hour). Cut a lemon in half and scrape out the flesh. Fill it with salt, and leave that at the bottom of the diaper pail. You will need to replace it when you replace the full bag and/or when it gets a little yucky itself. Throw kitty litter into an old sock, and tie it up like a ball. Some people toss it into the bottom of the diaper pail, while some secure it to the top of the pail but beware that baby could get to it. Put your diaper pail out in the sun. The ultraviolet rays of the sun will kill built up bacteria and mold. The sun will also dry out locked in moisture. This is a favorite diaper pail deodorizer. We all know how the stink can get into the plastic, and I feel positive that the sun helps get rid of that diaper pail odor. Get some fresh air. Open the windows and let it flow through the room after you have emptied out the diaper pail. Fresh air is an excellent diaper pail air freshener. 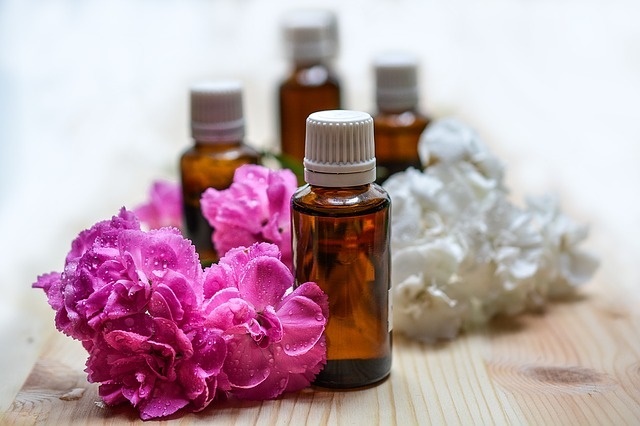 Mix a few drops of your favorite essential oils into a spray bottle with water. Spray it in the air, and then do so again 2-3 hours later. 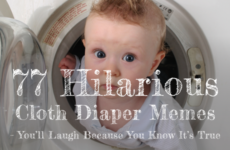 Limit the number of diapers that you keep in your diaper pail. For example, if you always change the bag once you get 8-12 diapers in there, there won’t be too much time for the stinky diapers to live in the pail, thereby getting reducing the stench. The longer they sit, the stinkier they will get. Its a great idea to get into the habit of changing them every 2-3 days. If you’re using disposable diapers, throw poopy diapers in a plastic grocery bag, tie it shut (so that the smell stains contained), and throw it into your outside bin. This way, you won’t really need a diaper pail air freshener because the poop will never stay in your house. If you’ve tried number 2 above and it doesn’t really work for you, you can use dog waste bags. These bags are strong and is made for the purpose of holding poops. If you cannot be bothered with method 2 or 3, you could dump the poop into the toilet before you toss the diaper. Throw 2-3 tablespoons of baking soda into a coffee filter and add a few drops of essential oils. Create a pouch by tying it up with a twisty tie, ribbon, dental floss or elastic band. Throw it into the bottom of your diaper pail – in between your bag and the diaper pail. Once the stink returns, replace it with another pouch. Change baby’s diapers in the same spot all the time. By doing this, stinky diapers will go into one bin/ diaper pail only, leaving you no surprises later when a new room starts to stink. Tightly tie the diaper pail bag when you remove it – thereby also reducing the stench it may leave outside. Wash your diaper pail frequently with soap and bleach to get rid of any bacteria. If you’re using disposable diapers, change your brand every few months – many parents swear by this. Use Odor-Block trash bags, if you have a diaper pail that does not need it’s own bags, like a diaper genie. Use Bamboo Charcoal as an effective diaper pail deodorizer. They eliminate diaper pail odors by absorbing it, not masking it. Diffuse essential oils in the nursery. Essential oils like Bergamot, Grapefruit, Lemon, Lemongrass, Lime, Mandarin, Orange, Sage, Tangerine and Lavender are great at reducing stale and musty odors. Salt is a very effective odor neutralizer. Throw half a cup of salt into your diaper pail and have it sit for a while before rinsing it out. Some people leave the salt in there and replace it when the stink returns. Saturate a cotton ball in eucalyptus. Eucalyptus oil is anti-bacterial and anti-fungal, and can be used effectively to deodorize diaper pails. Make your own diaper pail deodorizer disks: They’re really simple to make – all you need is to make a thick paste out of baking soda, distilled or boiled water, a few drops of your favorite essential oils (I recommend the oils in number 11 above). You’ll also need muffin cups and a muffin tin. 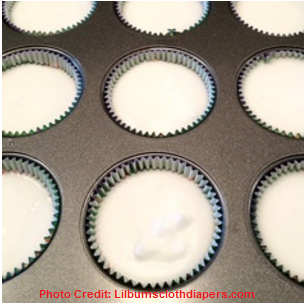 Press the thick paste into the muffin cups, place them in the muffin tin, and let them stand for at least 24 hours to set and dry. Once dried, remove the muffin cup liners and use one disk in your diaper pail at a time. An alternate method is to add Epson salts to the mixture. The ratio would be 1 cup of baking soda to 3/4 of a cup of Epson salts, distilled or boiled water, and a few drops of your favorite essential oils. It is the same directions as above but the Epson salts give it that extra kick as an odor neutralizer. Saturate a cotton ball with your vanilla extract, your favorite essential oil or one of the above essential oils. I use two cotton balls and place one at the bottom of the diaper pail, and one on the table right next to it. 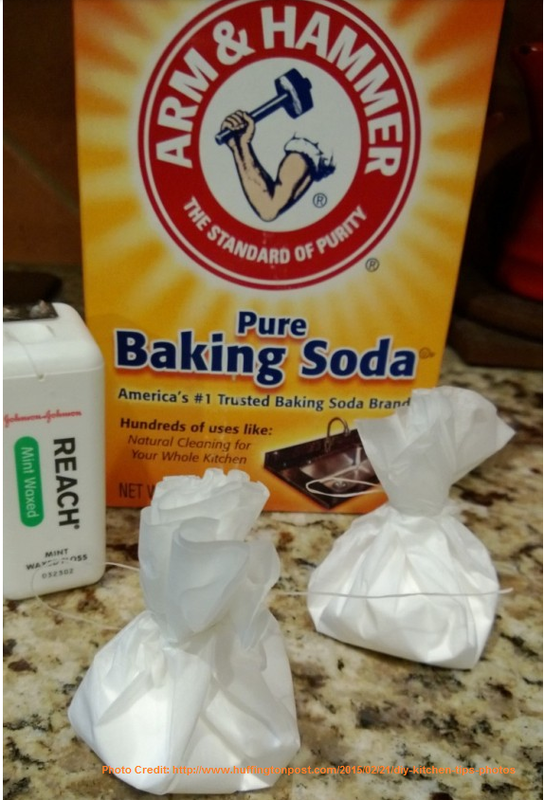 I love this method as a diaper pail deodorizer because it’s so simple and easy, yet effective. I hope you enjoyed this post. If you have any questions or you can offer additional diaper pail smell solutions, I’d love to hear it. Also, I’m always happy to hear from other moms and dads. I learn so much from you. I feel like since I’ve had children, I’ve learned way more than the years I spent in school and university. Your house smells like a stinky diaper, and you're trying to finger out ways to eliminate diaper pail odors. 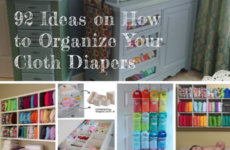 Here are 29 Diaper Pail Deodorizer Ideas! Use things you may already have in your home to quickly eliminate diaper pail odors, and get rid of that diaper pail smell.